Monday morning, in the exercise class I’ve been going to, we did what was called a countdown workout. Here’s how it worked: Take an exercise — for example, curls and shoulder presses with 20 pound dumbbells. Do one set of nine repetitions. Then do one set of nine repetitions of a different exercise — lunges, for example. Then do one set of eight repetitions of both exercises, seven repetitions, six, and so forth. And just to make it interesting, after you’ve done the set of one rep for both exercises, go run some suicide drills and then move on to two new exercises. When you’re done, you should have done 53 repetitions of each exercise. Now perhaps that sounds easy, and good for you if it actually is easy. Today, however, I am feeling the effects of 53 push ups. Let me just say I won’t be raising my hands to volunteer for anything today. 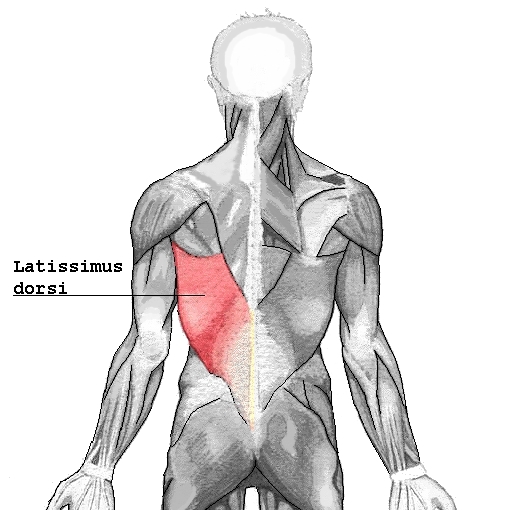 They have been dormant for a while, but I do have two latissimus dorsi muscles and they are just a bit sore today. On Tuesdays and Thursdays, I’ve been going to chicometrics classes at the Y. This video will give you some idea of what the movements in that class are like. I always struggle in this class — especially on the core exercises. The stretching is tough, too, because I am not very flexible. And I am often the only guy in this class. I guess it’s not macho for guys in Muscatine to go to exercise classes. They don’t know what they’re missing. One of the topics of discussion this morning — thanks to two classmates who returned today after LONG absences — had to do with what they jokingly called brown dental floss. And, no, they were not discussing bad dental hygiene. They dared me to write about it in a column. Maybe this blog will suffice. And, I made a decision today after noticing my (much smaller than before) pants are getting a little snug: no more salty snacks. Apparently, I have an addiction to those, too, so a 12-step program is in order.